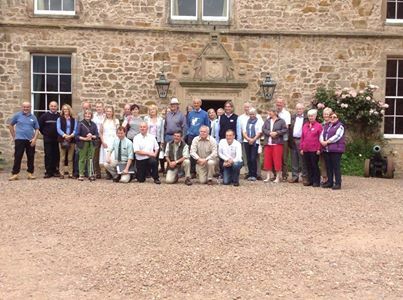 Our AGM for 2014 was held on 21 June at Lennoxlove House in Haddington, East Lothian. 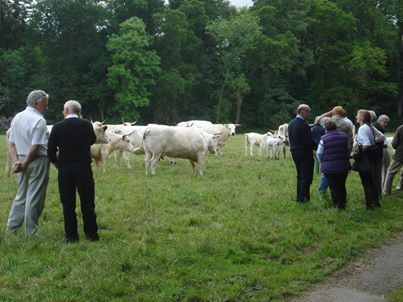 We would like to pass on our grateful thanks to His Grace the Duke of Hamilton for allowing us to use his home for our AGM and to Farm Manager, Keith Stuart, for his valuable help in making the arrangements. Over 35 people attend the event. After the formal meeting had completed lunch was taken in the dining room. We were then treated to a guided tour of parts of Lennoxlove House which has a fascinating history. This tour was followed by a visit to view the White Parks which reside in the parkland surrounding the house. 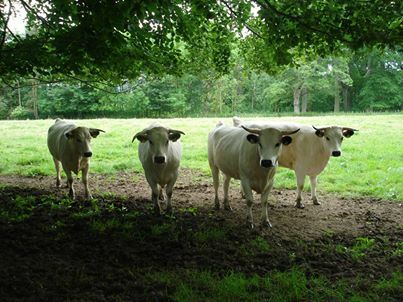 We firstly viewed three newly-registered bulls which are now up for sale before visiting newly-born calves with their mothers, year old heifers and White Park bull Castle Joseph and his lady friends. During the evening the group came together once again for a fantastic evening meal at the Waterside Bistro in Haddington.